/ Modified may 17, 2018 2:58 p.m.
MEXICO CITY — Business leaders across Arizona are preparing anxiously for the likelihood that negotiations for trade between the U.S., Mexico and Canada will drag on into next year. It seems unlikely the three countries will strike a deal for the North American Free Trade Agreement any time soon. Mexico's economy secretary told a local news program that negotiators are probably going to miss an important deadline this week. For importers of produce in Nogales, Arizona, that means they don't know whether a proposal to favor tomatoes, bell peppers and cucumbers from Florida — instead of Mexico — will go through. 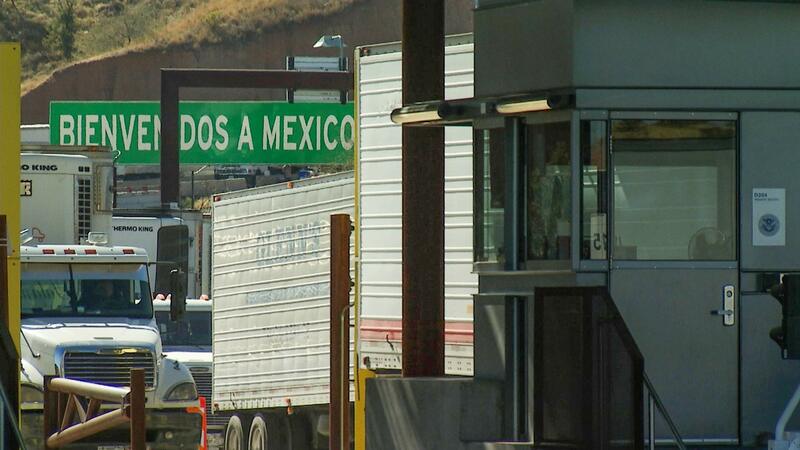 "So it benefits a small sector, but the harm it does to the importing sector and the consumers in the U.S. is quite large," said Guillermo Valencia, chairman of the Greater Nogales-Santa Cruz County Port Authority. Valencia says negotiations lasting longer means uncertainty for importers, which he says is not good for business.